Grounded in a divination system that dates back centuries, The Good Tarot has a psychic architecture that's more simple and modern, rooted in contemporary positive psychology. Its heart is in the expression of the highest good for all. 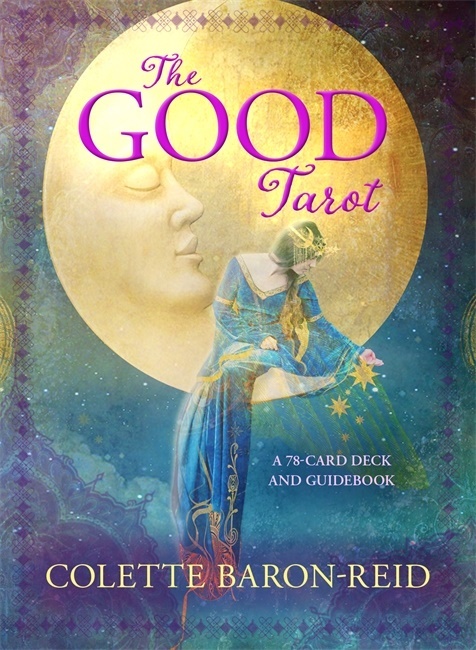 The 78 cards in the deck are read as archetypal aspects of the human experience that we may encounter within ourselves, with others or in the world. 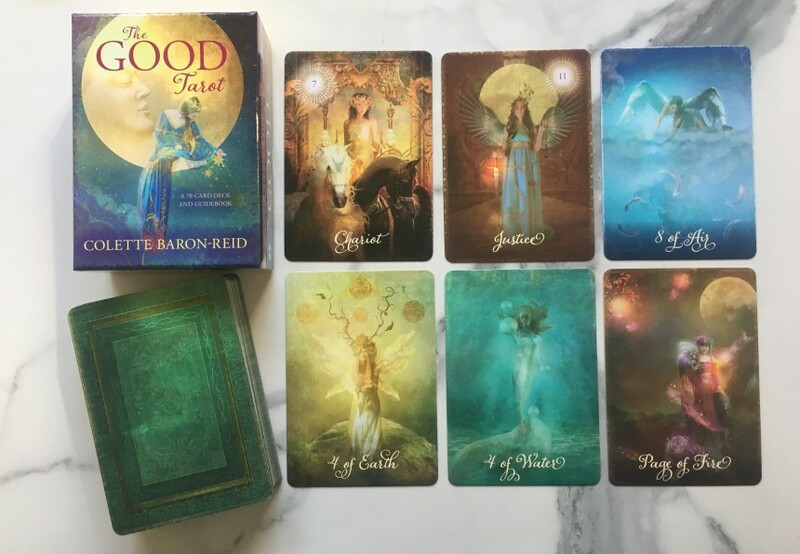 The suits in The Good Tarot are the four elements, with Air standing in for the traditional Swords, Water replacing Cups, Earth for Pentacles, and for Wands, Fire. A crucial difference from traditional decks is that the cards' messages are all written as affirmations in the present tense, rather than forecasts, instructions or warnings. Instead of being told what to do, those who use the cards can integrate their energy immediately and personally. 'Everyone wants guidance during times of uncertainty, a light shining in the dark', Colette writes.